In early 1844 future lawyer, politician and Bencher Æmilius Irving was admitted to the Law Society as a student member. Æmilius had come to Canada from England with his family at age ten, and was 21 years old when he began to study law. 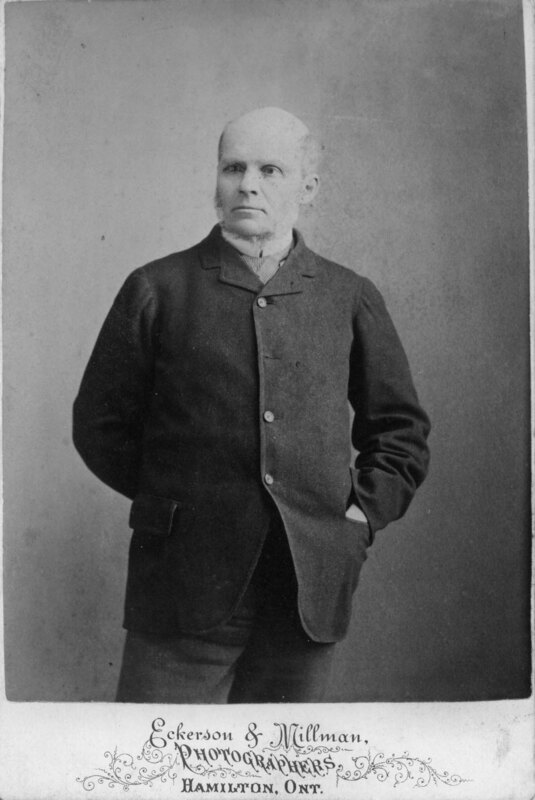 After his call to the Bar in November 1849, Irving practiced in Toronto and Galt before moving to Hamilton, where he worked for more than a decade for the Great Western Railway. He then ran for Parliament and although was not elected in the 1872 federal election, won a seat in 1874 that he lost and re-gained in 1875. He was a backbencher in Alexander Mackenzie's government but lost his seat in the election of 1878, in which John Alexander Macdonald's Conservatives were returned to power. Æmilius Irving was first elected a Bencher in 1874. He became Treasurer in 1893, a position he held for 20 years until his death in late 1913, making him the longest-serving Treasurer in the Law Society's history. On his 90th birthday in March 1913, the Benchers presented him with an elaborate maple and silver box showing images (sadly now faded) of Osgoode Hall, and an illuminated address signed by all of the Benchers. "Your long and loyal tenure of the high and responsible office of Treasurer," the Benchers wrote, "has been characterized by those qualities of assiduity, vigilance, dignity and wisdom which have reflected luster upon the office, and have always contributed to the highest and best interests of our common profession." In his later life, honours and recognition of Irving's contributions to the legal and professional life of the country came not only from the Law Society. The University of Toronto awarded him an honorary doctorate in 1906 and he was knighted in 1907, after which he had new calling cards printed that read "Sir Æmilius Irving". Sir Æmilius tried to resign from his position as Treasurer in May 1913, but was persuaded to stay on. 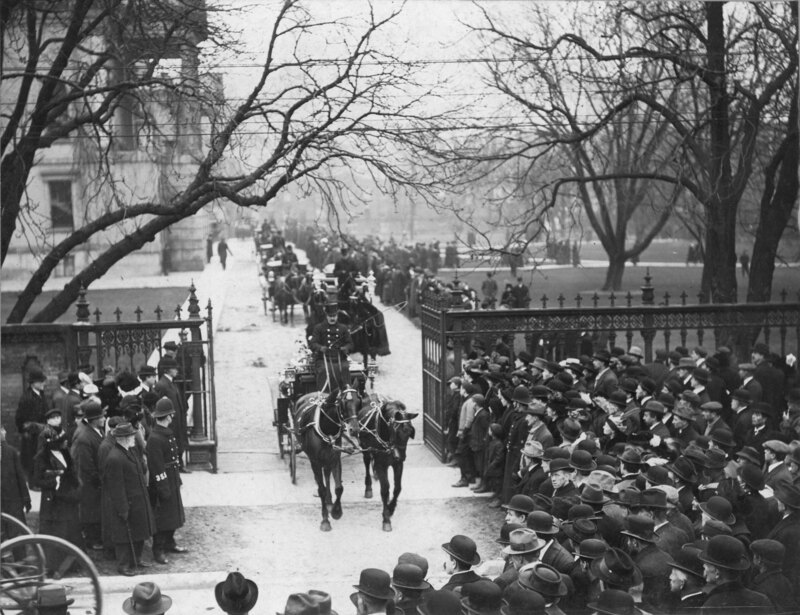 He died in November of that year, and his remains lay in state in Osgoode Hall before the funeral procession made its way to St. James' Cemetery in Toronto. At the time of his death he was the oldest lawyer in Canada. Sources: Archives biographical records; Christopher Moore, "The Ontario legal alphabet: I is for Irving," Law Times, 3 Dec. 2001; Jamie Benedickson, "Irving, Sir Æmilius," Dictionary of Canadian Biography, Vol. XIV, 522-3. Items shown were donated to the Law Society's Archives by Nancy-Helen Clifford, the widow of Sir Æmilius Irving's great-grandson, according to her husband's wishes (accessions 994.055 and 995.018). Photograph of artifact appears courtesy of Elise Brunet.